Intellectual disability is explicated in this sqadia.com medical V-learning lecture. 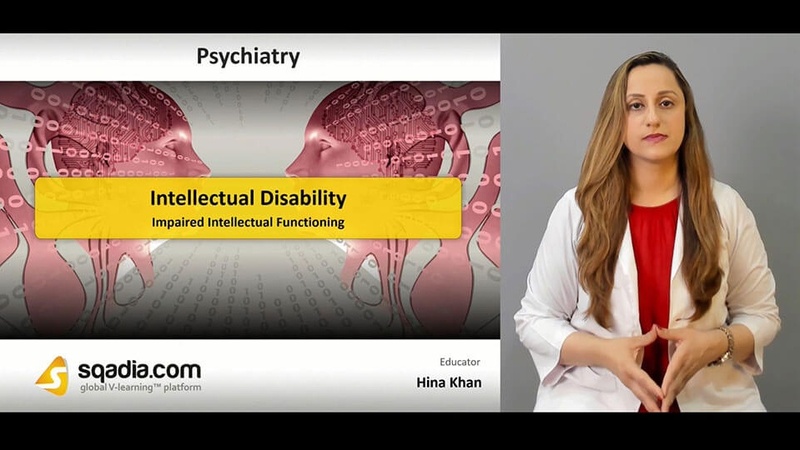 All the aspects regarding this topic are discussed in this lecture encompassing medical definition and causes of impaired intellectual functioning. Additionally, categories of mental retardation and how to measure the severity of intellectual disability are elucidated. Conclusively, clinical features of ID and several other genetic syndromes along with management aspect are elaborated. At first, epidemiology is discussed. Approximately 2%of population in UK is suffering from intellectual disability. It is a condition of arrested and incomplete development of mind. Then, Dr. Hina Khan elaborates that how severity of intellectual disability is measured along with explication of adaptive functioning. Causes of impaired intellectual functioning can be intrauterine, perinatal, or early life infection injury poisoning. Some genetic abnormalities participating in this disorder are Downs syndrome, fragile X syndrome, point mutations, deletions and duplications. Furthermore, risk factors of genetic, intrauterine, and perinatal causes are delineated. 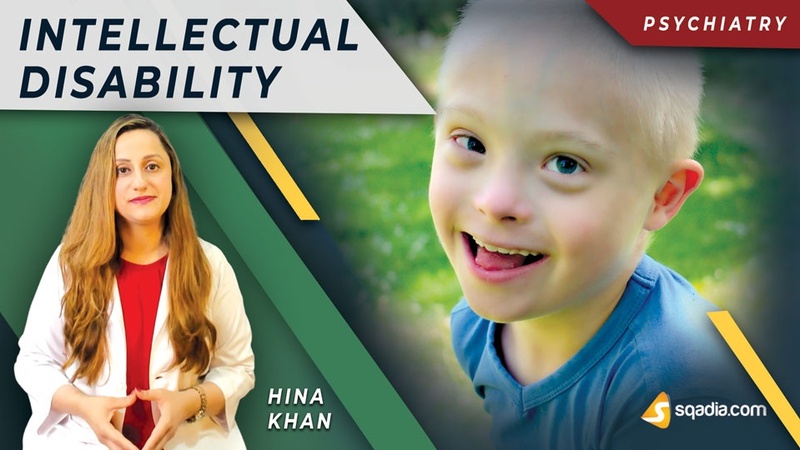 In this section, Dr. Hina Khan focuses to elaborate in detail the measurement of severity of intellectual disability. Firstly, mild IQ 50-69 is discussed. Following this, moderate IQ range 35-49 is considered which corresponds to the mental age 6-9 years. Likewise, discussion continues on severe IQ in which mental age is 3-6 years. In addition to this, profound ID is also deliberated. Medical practitioner at sqadia.com tells that mild ID are usually never diagnosed. Then, clinical features of Downs syndrome are highlighted. Autistic spectrum disorders along with Prader Willi Syndrome are considered later on. Moreover, information is given about fragile X syndrome which is the commonest inherited cause of intellectual disability. Physical comorbidities and psychiatric comorbidities are presented initially. Common issues in management are also reported in this section. Next, aspects of clinical assessment are discussed. Communication with ID patients is quite tricky and, in this section, it is elaborated that how to communicate with ID patients for its management. Collateral history and health care facilities are discussed later on.